It’s Wednesday, which means it’s time for our weekly installment of new arrivals! For this week’s roundup, we’re coming at you with everything from the latest in affordable It jeans (you know, the pair that probably got you to click into this story) to an updated pair of everyday sunglasses to the designer one-piece swimsuit of our dreams and everything in between. For the shoe-obsessed girls, prepare to melt over Saint Laurent’s latest It sandals as well as a pair of over-the-knee boots from Zara that have us more excited for fall than we’ve been all summer (even on the hottest of days)—both statement-making, both at the top of our wish lists, and most importantly, both sparkly! Two-tone denim is everywhere right now, and this affordable pair rivals most of the designer styles we’ve seen! This bodysuit deserves a major street style moment. Wear this out with high-waisted pants or as a bathing suit cover-up at the beach! Sparkly sandals are the perfect addition to jeans and a tee for a night out. We love a unique and affordable pair of earrings. A deep V elevates this under-$100 tee to feel much more special. Frill hems are our favorite new trend in pants. These affordable sunglasses will have everyone fooled. How dreamy is this one-piece? Skorts are perfect for outside-the-box summer weekend looks. Every girl needs a ruffled skirt in her life. 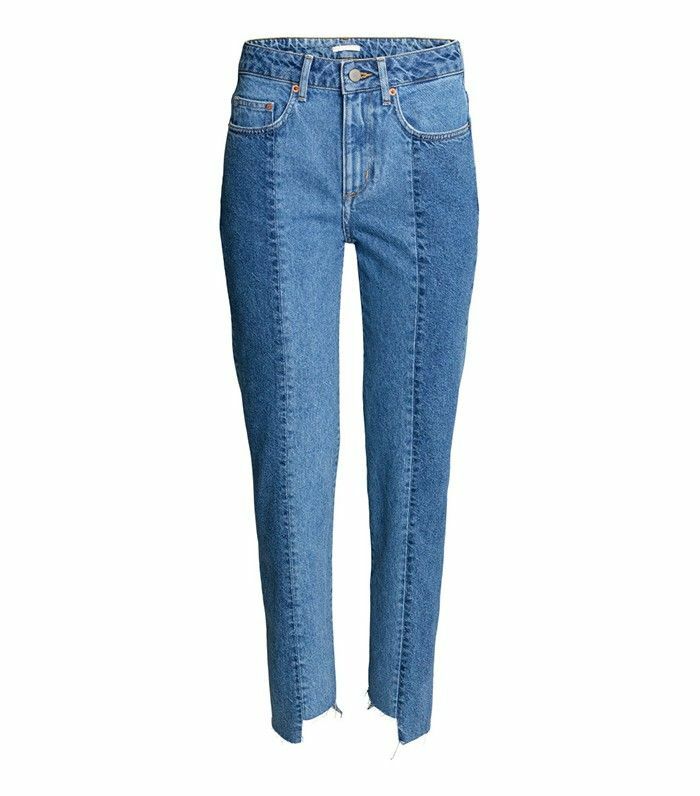 Style these with a denim miniskirt and moto jacket this fall. Thanks to the lace-up detail, this slip dress feels so fresh.